Vape South America Expo Peru 2019 - Attend the first ever vape expo in Peru. We’ve hosted vape events around the world, and we want to go big in Peru. 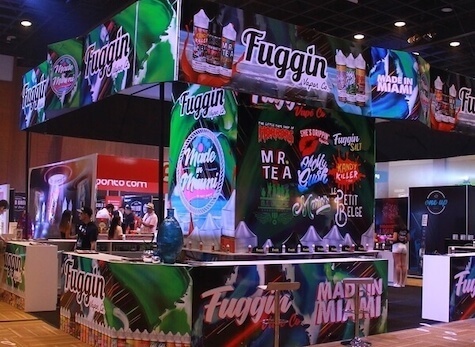 Sample products and network with 100+ vape brands, manufacturers and distributors from around the world. Enjoy your experience at Vape South America 2019 by participating in our clouds & trick comps, giveaways and more. Vape South America Peru 2019 is being held at Domos Art Peru. Lima is the largest city, as well as the capital of Peru. Experience many tourist attractions and activities in the city during your trip. Why Attend Vape South America? We work hard to make sure our attendees and exhibitors have the best possible experience at our Vape South America Expo events. There will be many activities, places get food and things to do within the vape event. Below are some of the highlights you can expect at Vape South America 2019 in Lima Peru. Enjoy music by our DJ and live performances from local artists. We will also have our exhibitors do giveaways, and have advocacy groups speak about the industry. Get the chance win free eJuices, t-shits, hats and other vape gear from our exhibitors. We will give stage time to sponsors and sometimes they give out free stuff! 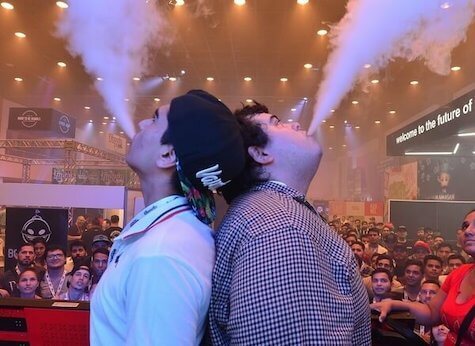 Show off your vape skills by competing in our cloud competitions and trick competitions at the show. We will be giving cash prizes, eJuices and vape gear to the winners. Vape South America is an annual Central and South American vape convention organized by VapeConventions.com. Our Company hosts vaping expo events in countries around the world. Our goal is to grow and expand the vaping industry and its unique culture in areas where there is a high demand for tobacco alternatives, as well as areas that haven't yet been exposed to electronic cigarettes. This gives vape brands and vendors that attend our vape expo the opportunity to expand their business and be first to market internationally. 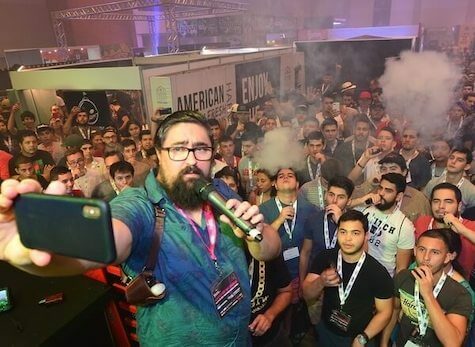 Attend Vape South America 2019 in Lima, Peru and be apart of the largest international vape expo of the year. Join 1000’s of business owners, consumers and exhibitors from around the world. Our company VapeConventions.com is an international trade show organization that hosts vaping expos/vape conventions in countries around the world. Our goal is to grow the vape industry and its culture in areas with a high demand for tobacco alternative products, as well as areas that haven't yet been exposed to these products. This gives our exhibitors and sponsors the opportunity to expand their business and be first to market.